The Rat Stands Scherzo Stand features a lightweight design for the gigging musician. The Scherzo's aluminium frame and tray weighs just 800 grams, whilst the compact folding design makes it easily portable. The wide angle tray with large lip is suitable for books of all sizes, as well as your tablet or smartphone device. This model's adjustable tripod base can be set to offer balance on a range of floor surfaces and tilts. 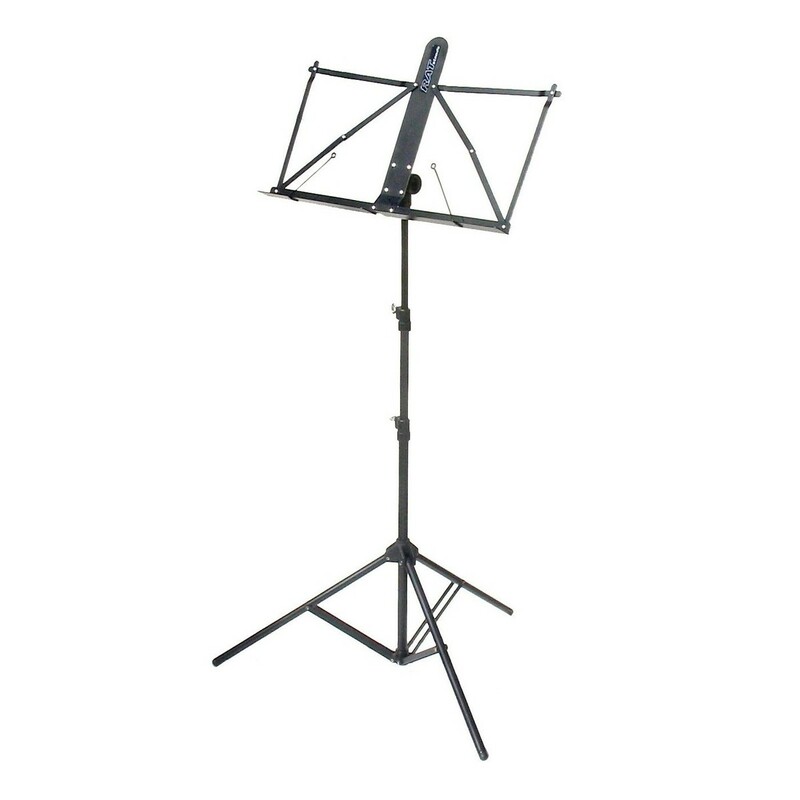 The Schertzo height range reaches up to 117cm, which can be used by standing and seated musicians alike. This stand has a black colour for a classic look and includes a bag for easy portability.